Atwood Magazine is excited to announce a partnership with LiveSyphon to showcase live music from across the country! The first of our LiveSyphon series features Boston band Juice. Music should be able to entice and allure its audience. There is an expectation for artists and songs to be uniquely remarkable, or else there is nothing with which a listener can connect. Swimming in a sea of oft homogeneous sounds, artists and bands must work vigorously to appear wholly dissimilar from the pack. 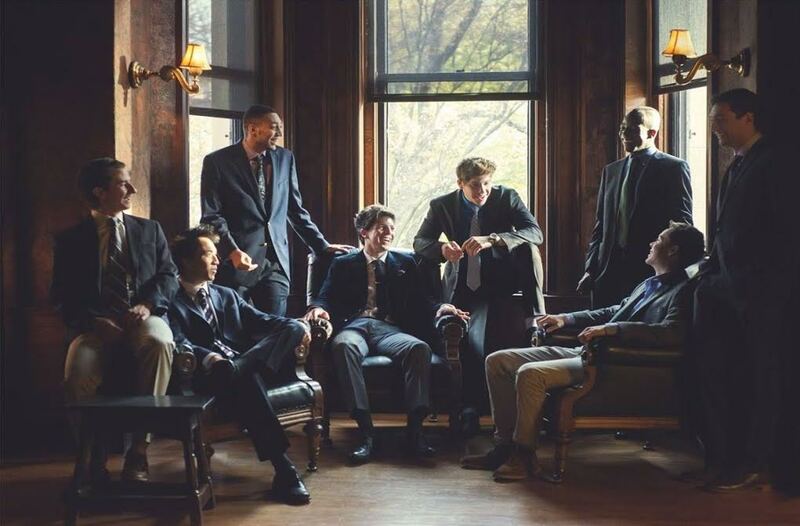 Magnetic, charming, and refreshingly distinctive, Boston-based 8-piece band (yes, eight) Juice has sufficiently succeeded in crafting a sound that is both addictive and matchless. Having first come together as college freshmen a few years back, the group has continued to see exponential growth. They released their debut album in April of this year, and will be playing their first ever festival slot at Summerfest in Milwaukee, WI on June 30th. Juice’s alt-infused, soul-inspired vibes masterfully foster an inimitability that ultimately separates them into a genre yet to be defined. The group’s single “Gold,” which Atwood Magazine is proudly presenting today in partnership with LiveSyphon, is quintessentially Juice. Lead singer Ben Stevens’ striking and expressive vocals are on full display throughout the 4-minute track, as vocalist/guitarist Kamau Burton interjects before the chorus with equally soulful fervor. Vocalist/violinist Christian Rougeau excellently showcases his talents in “Gold” as well, fiddling his way into everyone’s hearts. “Gold” is toe-tapping, charismatic track about newfound desire, and the warmest feelings that come with it. The song traverses through the barrage of inner emotions that follow along with new affection, and ultimately embraces them. It’s new and maybe a little bit scary, but nevertheless enchanting. In anticipation of our LiveSyphon release, Atwood Magazine was able to catch up with Juice’s vocalist/violonist Christian Rougeau, where we discussed everything from the group’s origins, how their hometown of Boston has affected their sound, and how their music represents their personalities. Atwood Magazine: How did you first come up with your band name? Christian Rougeau: There’s an old Scottish legend that the bringer of dance would sip nectar from a golden chalice and be given the eternal power of Funk. In 1873, Jackson McMahon discovered this chalice deep beneath the Loch Ness – but it was empty. Since then, musicians everywhere have attempted to fill the chalice with nectar and obtain the power of Funk, but none succeeded. One night, Jackson McMahon came to all eight band members in a dream, deeming us the keepers of the chalice. “Juice” is the representation of our responsibility to fulfill our destiny. You're a larger band with seemingly varying influences. What's the typical thought process in creating your specific sound? Christian: We try to play music that we would enjoy listening to. Since there are a number of different musical tastes and backgrounds in the group, Juice songs end up blending elements of everyone’s ideas of “a good song”. Oftentimes one member will bring a groove they’ve been working on into practice, and by the end of practice the song will be something completely different than what it was initially. This known, we’re a bunch of college guys, and there’s definitely a lot of common ground in terms of what we like to listen to as well, so writing is …generally …a profoundly productive experience. How did you all first meet and decide to blend together your varying backgrounds? Christian: We met at Boston College as freshmen. BC isn’t known for its vibrant music scene, so a few of us met up after sending out feelers through the roommate portals and Facebook. Some of us were in classes together, and some of us met through music events on campus, but by second semester we were all jamming. We decided to do our school’s battle of the bands, we won, and the rest is history. How has being from Boston affected your music? Has it at all? Christian: Boston definitely influences our music at least somewhat, whether or not we really know it’s happening. There are some really good bands in the area who’ve come out of Berklee College of Music and other schools in the area, and in playing shows with with these guys, we’re constantly reminded how hard we need to work to be successful. Some of the best bands from around here are some of the best independent bands any of us have ever seen (probably because of Berklee), but we do our best to learn from them in terms of composition and performance art, and it’s really helpful for us as a group. You've won a spot to play at Summerfest this year in Milwaukee -- how are you gearing up for that, and does your set change at all from a festival crowd vs. a smaller venue? Christian: We’re so excited to have the opportunity to play at Summerfest, and we really want to make it count. In terms of playing to a festival crowd – we just want to bring as much energy on stage as we can. Engaging people with energy on stage is one of the most rewarding experiences that a musician can have, and a festival audience is the perfect place to do just that. Do you have any dream festivals you'd like to play, or a dream festival lineup? Christian: I’m from about an hour away from Chicago, and I wake up every morning and ask myself if I’m playing at Lollapalooza yet. I’ve been going every year since I was 14. We’ve got some guys from California in the band who I’m sure would love to play at Coachella, and I’ve been checking out some cool jam band festivals like Lockn’ that sound insane. Lolla would be heaven though – I tell all the guys it’s been the dream of my short life for a long time. If you could open for or play with any other band, who would it be and why? Christian: We have a number of influences ranging throughout the band. Any bill with Phish or Dave Matthews Band would be too good to be true, Chance the Rapper is a favorite of mine, John Mayer, really anybody we like to listen to – and I’m sure I haven’t done everyone’s favorite artists justice in this list. Christian: The inspiration for songs really varies, and is always difficult to put into words. What has been your favorite performance or show you've had so far? Christian: We played a big show at Brighton Music Hall in Boston this past February, which was incredible. We’ve had lots of amazing shows though, and anytime we have a lively crowd dancing along, it’s an awesome experience. I want to shout out Brandeis University – we played a show there a while back and they were one of the wildest audiences we’ve ever had. Christian: Lollapalooza. Well, that, and being able to play music professionally as a band. All but one of us are still in college, and we’d love to be able to have enough success to really make Juice something lasting and special in the years to come. What motivates you to try and push the boundaries? Christian: I want to believe that if you love something enough, and you work hard enough at it, you can do amazing things. I’m from South Bend, Indiana, and there’s kid who went to school across town from me who just got drafted by the Celtics. I didn’t know him well, but he was a workhorse, and he loved what he did. Juice works really hard to be the best we can be, and I really think if we continue to do so, then good things will happen. What is the overall message you'd like to convey with your music? Christian: I don’t know if there’s a message so much as there’s a character that represents our personalities. We’re a bunch of guys who love to make music, and hopefully people can feel our energy and our love in our sound. 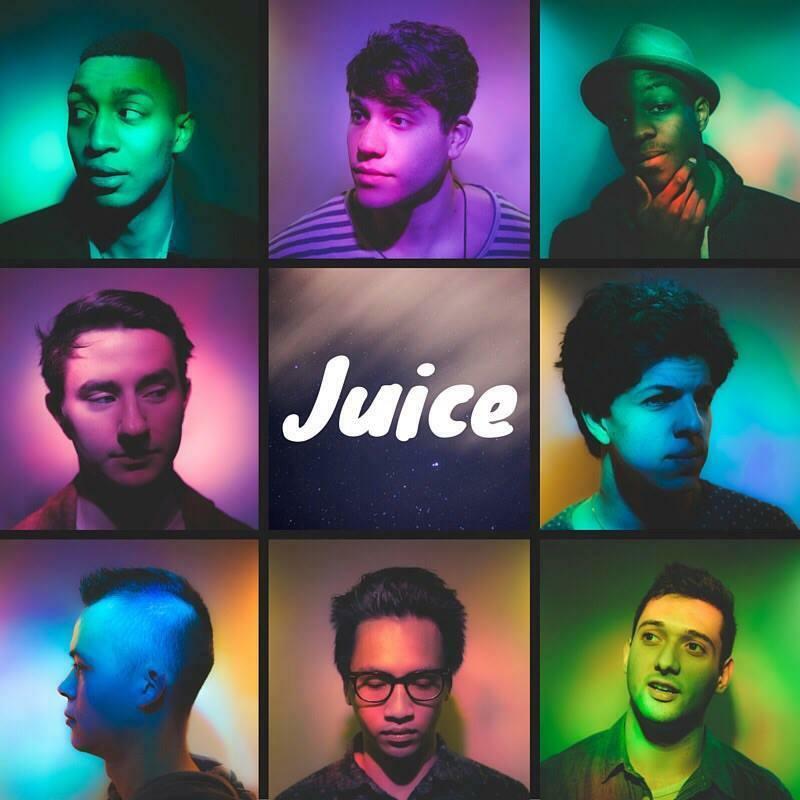 Juice certainly brings an infectious energy with their zealous presence, and their passion for music is evident. It may seem difficult to maintain freshness, but these guys make it seem easy. Juice and “Gold” are symphonically captivating, deftly original, and genially energetic; fostering a sound that upholds a sharp fluidity and wholehearted promise. Watch Juice’s performance of “Gold” via LiveSyphon, and you’ll see exactly what we mean.